I’ve never felt like a poem more accurately describes April than Robert Frost’s Two Tramps in Mud Time. 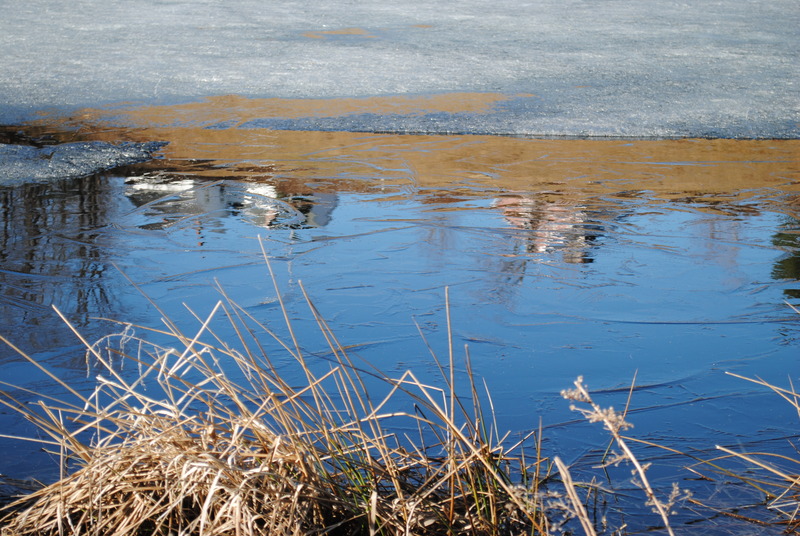 I love season’s but it has been wonderful to watch the snow melt, ice thaw and grass turn green. 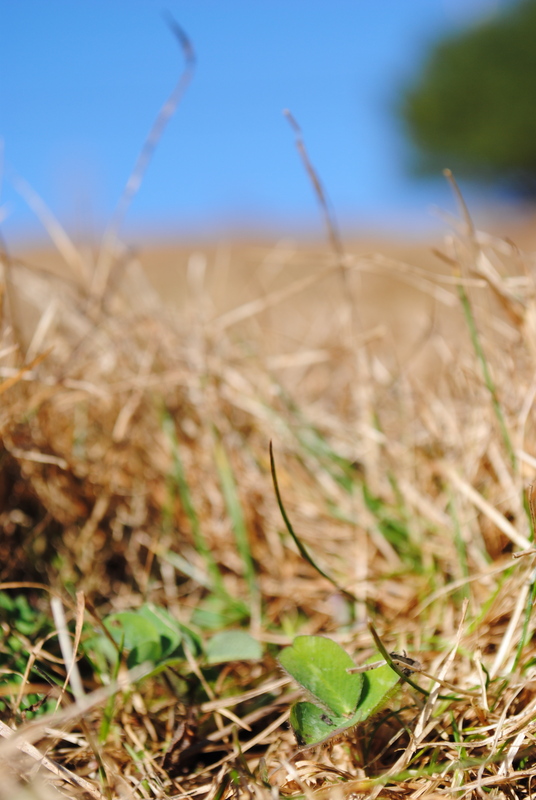 In the past, I haven’t paid close attention to how quickly the grass jumps out of the ground in the spring. This year, with Dan counting the dwindling number of hay bales left in the barn, I notice daily the seemingly exponential growth of the grass over the past couple of days. When I took this photo on Sunday, I looked out of my window and the fields were covered in dead brown grass. I had to dig to find the green shoots of grass hiding in the ground. Today when I look out my window, the fields are covered in green – a sign of spring and new life! Another sign of new life on the farm is baby lambs! We had two lambs this spring and they are both strong healthy little girls! It’s been fun to watch them grow. 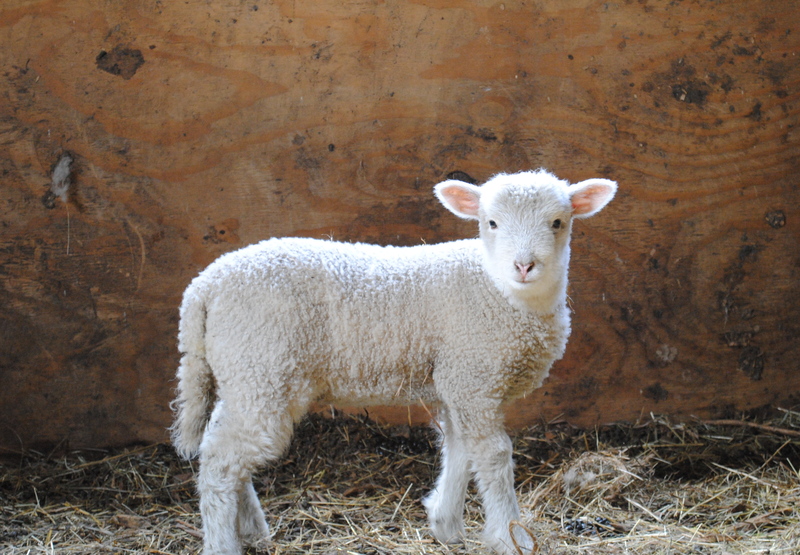 The lambs are awfully cute when they are young. Soon, Dan and I will need to sheer the sheep – time for them to get rid of their winter coats and get ready for summer! April vacation is coming up and Dan and I have a list of projects we are hoping to accomplish. We’ll see how our list goes, hopefully we’ll get at least a few of the projects done! Thanks for taking the time to share your delight.